Halloween is almost here, and while I hate the scary parts of it, I love that this time of year you are able to turn yourself into any character you could imagine and alter the way you look to fit that character. I love doing that with makeup and face paint. 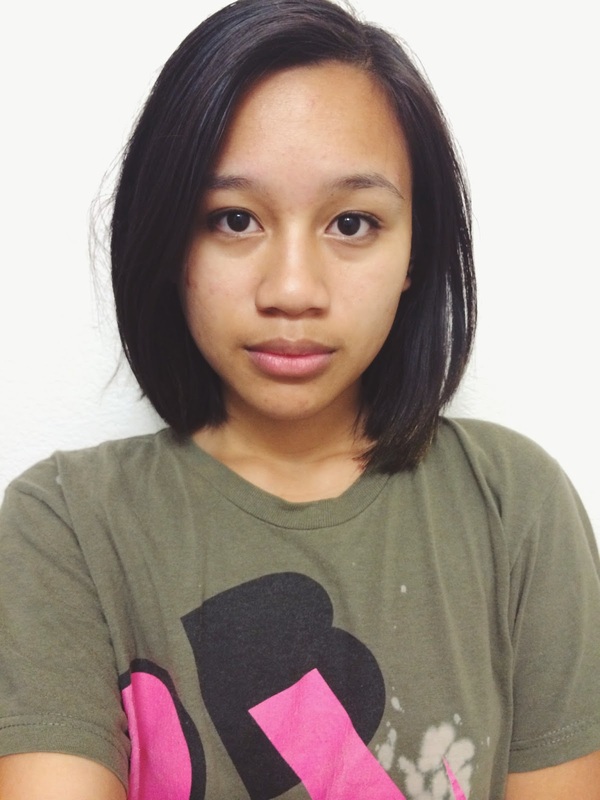 My freshman year, I was Mulan, my sophomore year, I was Pocahontas, and this year I am hoping to be Rapunzel post-haircut. But until Halloween actually arrives, I decided to play around with some face paint and this is what I came up with. 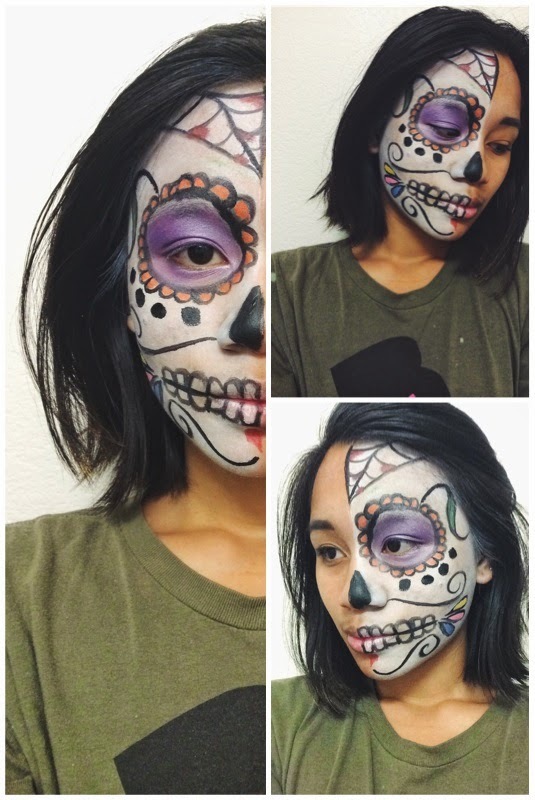 Sugar skulls have become very popular for makeup artists and others who are proud of their Hispanic culture to celebrate the Day of the Dead. These do not happen in the Philippines, but Filipinos do do something similar where they spend time with their deceased relatives on what is called All Souls Day. My family even has wifi in the home where my family is buried at in the cemetery! It's almost 1am and I am wide awake. So what do I decide to do? I tell myself I'm going to try painting myself into a sugar skull from Dia de los Muertos, or Day of the Dead. I've seen the look recreated many times and I was hesitant to do this for that reason, but I thought to myself that I should just try it out anyway. What I painted on my face was completely spontaneous and I had no previous idea of a design planned out beforehand. If you're interested in recreating this look, keep reading! 1. Start with a clean face. I had a full face of makeup before this so I took a makeup remover wipe and simply removed all the makeup. I originally intended on painting my whole face but realized I didn't have much white face paint left in my kit so I chose to do just half. 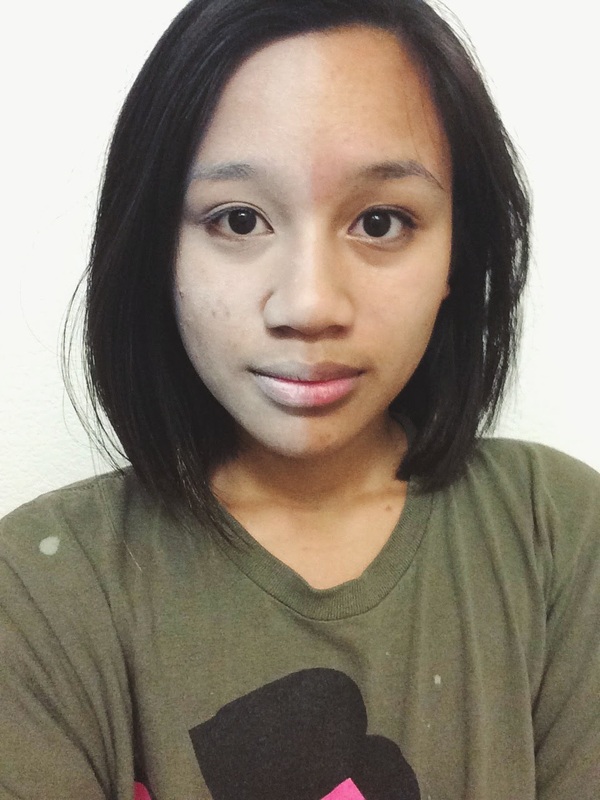 You can decide to do either one, half or full face. And for face paint, I was using the Snazaroo Face Paint Ultimate Party Pack. It comes with so many different colors and a few sponges to help doing things like the white base of your face. 2. Apply white face paint to desired parts of the face with a sponge. I say desired parts only because you may want to do a half face or create a cool design where the line that divides the face isn't completely straight and looks like a cracked skull or something. If you've never done this before, I suggest doing what I did and just go for a half face. 4. Customize! After you've gotten all the basics down, you now can customize! Use whatever colors you would like on your face, and you can use whatever designs you want as well! A quick Google search can really help with inspiration. 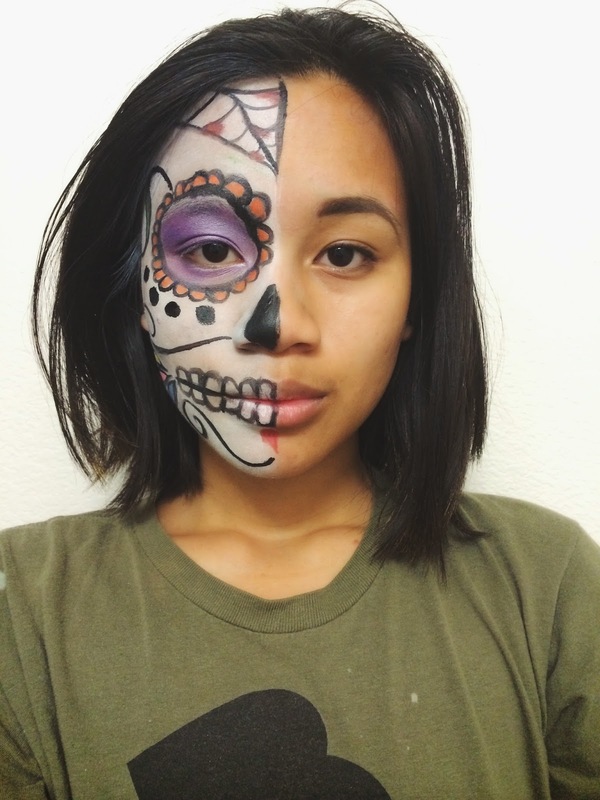 A very intricate but beautiful design I love is Michelle Phan's tutorial on her take of the sugar skulls! And you're done! It took a little trial and error for me to get the design I wanted, plus the lines are not as clean either because I randomly did this at 1 in the morning. But I'm overall happy with what I came up with! It's not super intricate or hard either. 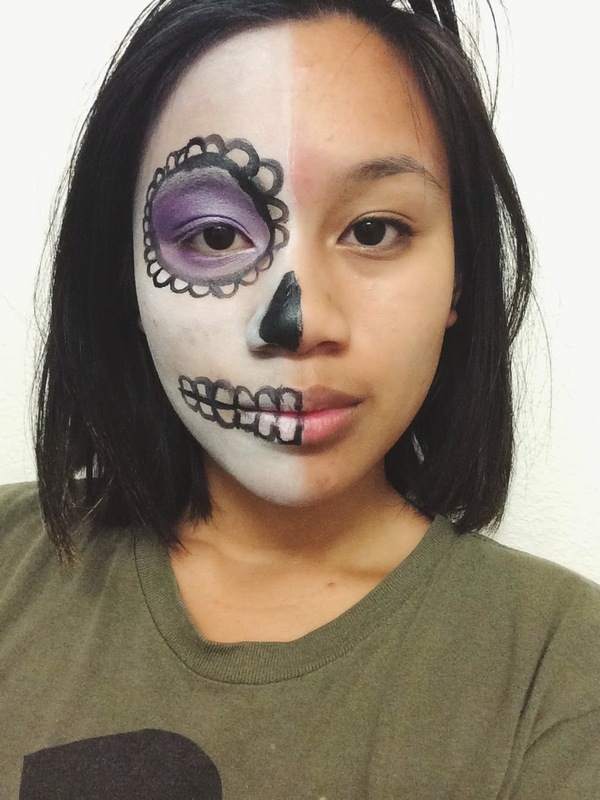 Share your own recreations or inspirations for this sugar skull look by tagging me on Twitter (@krisellerhiax) or Instagram (@duhhkrisellee)! Have you ever recreated these skulls before? Does your family do anything similar to Dia de Los Muertos? Very cute! One of my daughters works at a haunted house and loves doing her makeup; I am going to show her this, it's right down her alley! Oh wow that's great! I hope she enjoys it!